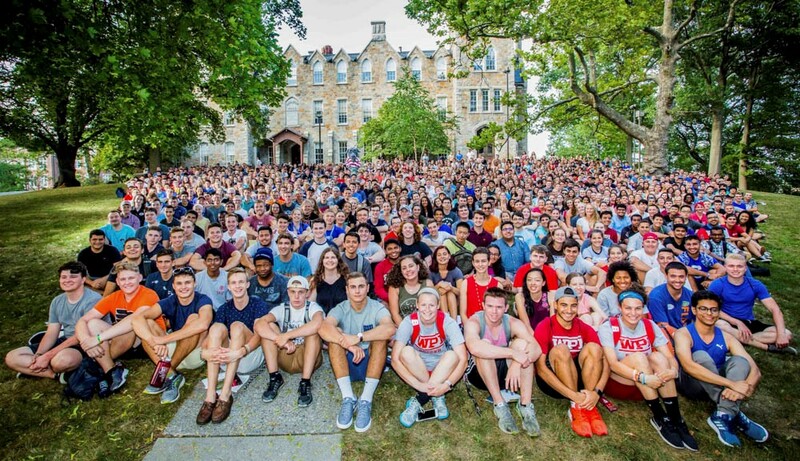 Worcester Polytechnic Institute (WPI) welcomes the Class of 2021, the most gender-balanced class in its history. Among the 1,130 new students, 44 percent are women—an increase of 10 percentage points over last year’s class—placing WPI among STEM institutions with the highest percentage of female students. This leap in gender parity follows more than 10 years of successful outreach efforts by WPI to draw more girls and young women towards the STEM fields. In 2007, WPI became the first nationally ranked science and engineering university to pilot an admissions policy that no longer required students to submit their scores on SATs and standardized tests, which have been shown to skew against women and underrepresented minorities. Capping off these efforts, this year the university made a strategic decision to devote additional financial resources to incentivize more women applicants. Over the past 10 years, applications to WPI increased 81 percent, while applications from women increased by 99 percent. In addition, applications from domestic underrepresented minority students increased by 146 percent, and applications from underrepresented minority women increased by 123 percent in that time. The university has developed several pre-collegiate pipeline and outreach programs strategically focused on attracting girls (particularly middle school and high school girls) to STEM fields and keeping them engaged through to the college application process. In 2016 WPI announced a partnership with Girls Who Code (GWC), a national nonprofit organization working to close the gender gap in computer science through after-school and summer immersion programs. The WPI/GWC Alumni Scholarship Program provides scholarships to five young women—alumnae of Girls Who Code programs—who will each receive $20,000 per year for their four years of undergraduate studies at WPI. Students in the Class of 2021 were selected from a highly competitive pool of applicants and are extraordinarily accomplished: 50 percent graduated from high school with 4.0 GPAs (the class average is 3.86) and 76 students were their class valedictorian or salutatorian. Students come from 40 states (including 462 students from Massachusetts), the District of Columbia, Puerto Rico, and the US Virgin Islands; nine percent of the class is international, representing 38 countries. Fifteen percent of the incoming class are first-generation students—the first in their families to attend college. is a model airplane camp creator, designer, and leader. The first day of classes for all students is Thursday, August 24.